Tonight (5/27/11) we are proud to welcome author and filmmaker John Sayles to our store! 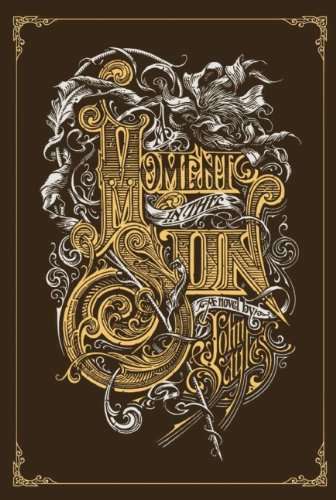 The reading of his new book, A Moment in the Sun, will begin at 7pm with a signing to follow. Please join us - no ticket is required! I recently finished reading John Scalzi's latest novel, Fuzzy Nation. Fuzzy Nation is a "reboot" of H. Beam Piper's classic, Little Fuzzy, which is on my reading list, but I haven't gotten to it quite yet. Jack Holloway is an ex-lawyer turned independent contractor-prospector on the planet Zarathustra, who hits the mother-lode. His cut of the find will make him rich beyond belief. There's only one problem. When he gets home he finds he's been invaded by the cutest little alien creatures. Who seem just a bit too smart to be ignored. You see, ZaraCorp (the mining company he's contracted with) is only allowed to exploit Zarathustra and its fabulous mineral riches because it has no intelligent life, and they want to keep control at all costs. John Scalzi will be reading from and signing Fuzzy Nation at Sam Weller's Bookstore Wednesday, May 18th at 6:00 PM. Join us! We've been cleaning a lot of back rooms and storage areas lately. That's not a shocker. What does regularly surprise me are the stories that are churned up along with the dust. Over the years I've told myself a lot of stories about the spaces we occupy in the David Keith Building. Some of them are true; others, more fanciful. 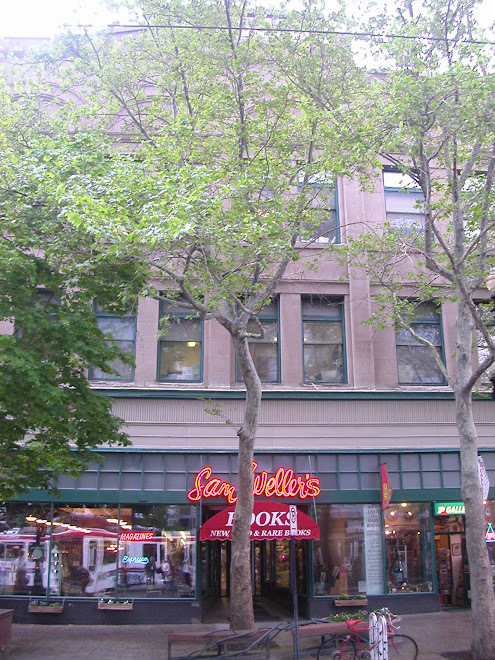 The space we've always referred to as "the third floor" has been primarily storage for the bookstore. After the great fire of 1972, Sam remodeled our share of the third floor just as much as was necessary to store USGS materials, assorted periodicals of local interest, and large quantities of books he bought on their way to the remainder companies. Other rooms stored financial records, the old tires from Sam's cars, wood and shelving, and spare computer equipment. That's the room I accessed most often, the computer equipment room. For years it seemed I was constantly switching out dumb terminals, dot matrix printers, and their associated parts. They were in what was, prior to the fire, an office leased to another party. Its entry was one of those beautiful wood doors with a large glass window and a transom on top. White and gold letters on the door's molding spelled out "K. D. Speciale." I was so intrigued by that name that nearly every time I went into the room, I speculated on its owner. K.D. Speciale, I decided was a detective. He was one of those hard boiled guys who smoked a lot and had his feet on his desk even when he was meeting with a client. Of course he wore a fedora. Mr. Speciale also ate at the counter of Lambs Restaurant, where he also went for "a cup" when he was troubled by a difficult case. I won't even go into the cases I made up for him. In March a group of Polk Directories for Utah came down from the third floor. For you web only kids, they were like the phone book with the added fun of reverse directories in the back. Also like phone books, they provide fascinating snapshots into particular places and times. One can look up addresses and see what person lived there or what business operated at that location. As I passed them on the landing to the lower level recently, I decided to look up K.D. Speciale. I wanted to see who he really was. A coworker joined me when I sat on the stairs and opened a volume. As I flipped through the pages looking for the right address, I told my coworker about my peculiar relationship with Mr. Speciale. Alas! The business was a very legitimate advertising and printing firm. Not only that, the actual name of the firm was "K. D. Specialeties." Sigh. There go the feet on the desk. There goes the snub nosed pistol in the top drawer and the bottle of whiskey in the bottom. Goodbye K.D. I hardly knew you. 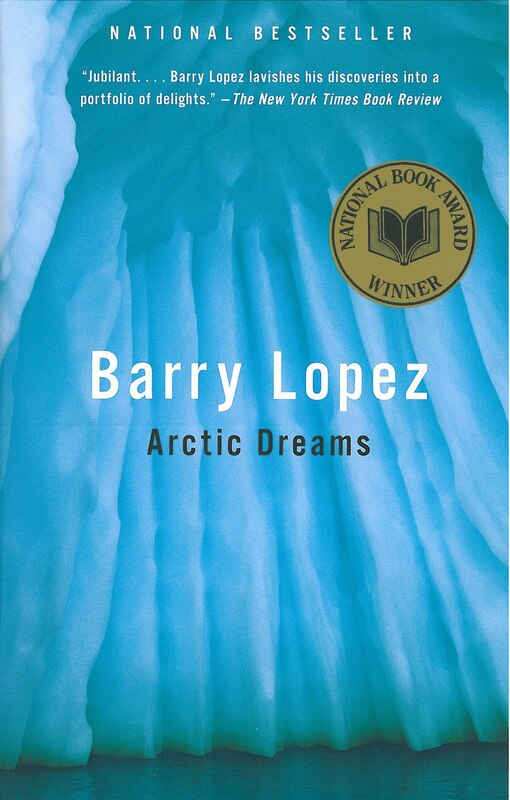 A wonderful book of the far north. It's been many years since I first read this books, but parts still stay with me . . . especially what polar bear milk tastes like. You'll have to read it to find out! I am saddened to report that our event with Katie Arnold-Ratiliff, author of Bright Before Us has been canceled. We extend our apologies to anyone disappointed or inconvenienced by the late notice. We also extend our best wishes to Ms Arnold-Ratliff.